What happens when you talk about something big, but even bigger news pops up, rendering your previous thoughts an opinions irrelevant? Strange Tales from Outer Space happens! Well not *all* our opinions. This week, the boys dig through the State of the Game, give their thoughts on gear progression, and wonder if gamers are starting to spoil. Exploiters Banned - Zybak on his ban. Unfortunately, in our quest to improve ourselves, we had one more guest than we expected, by the name of Murphy. Murphy is a jerk. Messing with our audio levels, making weird pops, and demolishing Dahk's internet connection every few seconds...On the other hand,Fraya from Enigma found time to sit in after a raid session to give his thoughts on tanks, what it's like to be a guild leader, and guilds leaving or staying. And don't forget to help contribute to Dahk's Extra Life stream on Oct. 25th! Rapid Fire... DASH DASH DASH! Help donate to Dahk's Extra Life... he will update it and put some cool stuff for potential donaters... he promises! No fancy title. Just Tony Rey. THE Tony Ray. 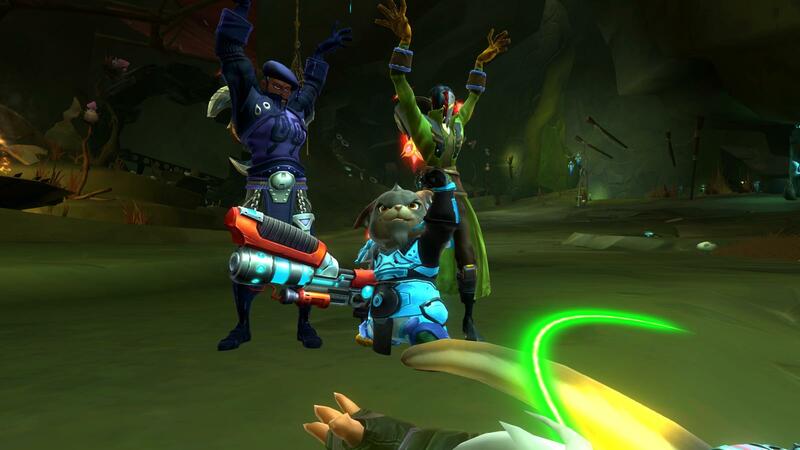 Wildstar's very own Community Manager brings some humanity to STOS for a week where we talk about about changes in the game, Carbine's openness, and we learn more about one of our favorite Nexus Reporters. We also lean bit more about each other as well. And Croog has a movie report to write! Warplots being shrunk? And Merc mode WPs? Listen to STOS and these guys and gals! Help donate to Adrian (Dahk) for extra life on Oct. 25! Crit Happens on Warbringer has come to an end...because Warbringer has effectively come to an end.. You can now find the STOS Crew on Pergo under the guild name [STOS], and we'll be keeping that name through the megaserver transition (Carbine willing)! In this week's show, Dahk has an issue with spoliers because an awesome datamine has come to the surface. Also Tony Rey is coming on next week! So send your questions to our email, twitter, facebook or however else you want to get hold of us! Shout us questions from three isles away in the grocery store! Another podcast older...and questionably wiser! The Strange Tales crew is back to talk about hard hitting issues...like nutsack windows for gender equality in armor! Super Special STOS Modeling Session!